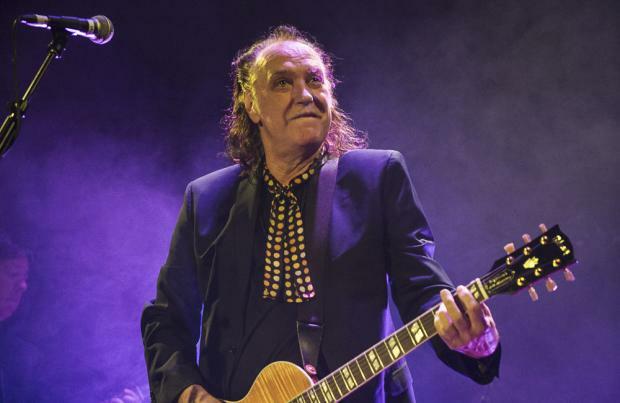 The Kinks' Dave Davies has addressed the band's reunion saying they are talking about releasing a new album, but shows or a tour is not on the cards "at the moment"
Dave Davies says he hasn't talked with his brother Sir Ray Davies about doing shows with The Kinks. The 74-year-old frontman recently confirmed that the band had been back in the studio for the first time in 25 years, and while the 72-year-old guitarist says they've discussed the "possibility" of putting out a new record, going on tour is not on the cards "at the moment". Addressing his sibling's recent interview confirming they had reunited to make new music on his Facebook page, Dave said: "Me and Ray have spoken about the possibility of us working on a new album. Ray has a few songs he wants to finish. I have 3 or 4 songs I've written with Ray. We've been talking about it for some time now. We haven't discussed shows or anything else at the moment. [sic]"
Dave, Ray and the group's drummer Mick Avory infamously feuded for years, but it looks like the trio have finally buried the hatchet. Speaking to Channel 4 News, Ray said when pressed on a reunion: "Officially we are...in the pub later on. The trouble is, the two remaining members - my brother Dave and Mick - never got along very well. But I've made that work in the studio and it's fired me up to make them play harder, and with fire." The reunion will no doubt come as a shock to fans, as Dave admitted last year that he didn't feel "equal" in the group. On whether the hold up in reforming was because things weren't even, he admitted last year: "Yeah, maybe. "I don't know. It'd be lovely to do something, but he's a bit of a control freak ... Creativity suffers when you're thinking about how to fight for that. "Maybe some people thrive in those situations but I don't." The 'Sunday Afternoon' hitmaker also said at the time that he didn't see the point in potentially ruining their "amazing legacy" in order to make money. However, he was open to doing something with his brother whether that be a TV show or the odd song. He said: "I think with reunion, The Kinks have an amazing legacy. Why f*** it up by getting ourselves together to make a few bucks? Some things are best left alone. I'm saying that and half of me is saying it would be good to do a show or a TV thing. Or one song." Ray and Dave founded the band in 1963 and split in 1996. However, the brothers performed together for the first time in almost 20 years in 2015, when Ray joined Dave on stage in London for a performance of 'You Really Got Me'. The band has had a number of different line-ups over the years but the siblings have featured in each one. The Kinks' classic line-up featured Mick on drums and the late Pete Quaife on bass. The latter was replaced by John Dalton in 1969 while Bob Henrit took over from Mick in 1984.